Many of us are still getting back into the groove after the new year celebrations and festivities. As we close the 1st month of 2015, the prospects of e-Commerce in Malaysia has just stepped up another level. 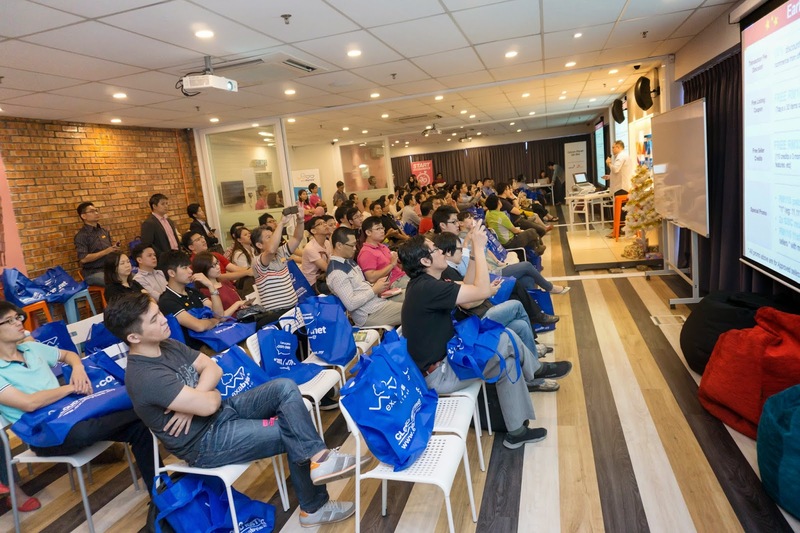 29th of January 2015, EasyStore in collaboration with Celcom Planet has launched a sneak preview into Malaysia’s Newest and soon to be Malaysia's Largest Online Market Place to over 100 EasyStore merchants and participants. 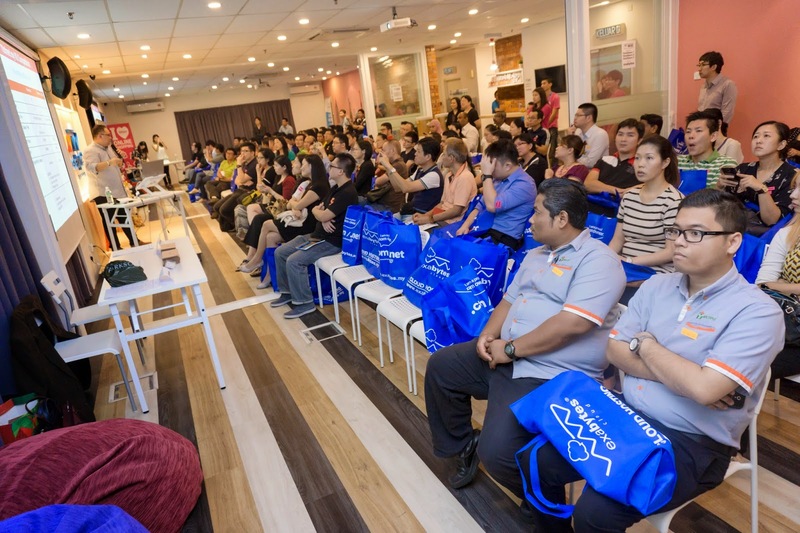 The event took place at EasyStore's offices in Setiawalk Puchong. The turnup was so good, it was a full house yesterday! The event kicked off with "11ST (11street)" Mr Bruce, the Vice President of 11ST, who looks like a Korean rockstar (Mr Bruce is Korean by the way) giving a warm albeit short welcome message to our participants. And then, the General Manager of Seller Development, Mr Sean Oh gave a presentation on what “11ST (11street)” is about. As previously mentioned in EasyStore's annoucements. 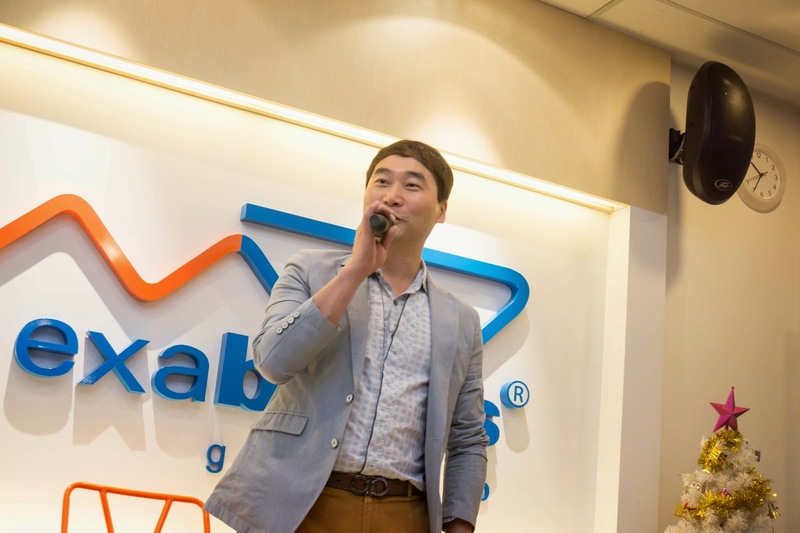 11ST, hosted by SK Planet is South Korea's top e-commerce martketplace. It recorded more than 30 million consumers with a gross merchandise value of US$5bil (RM17.48bil) last year. It has expanded into Turkey and Indonesia with amazing growth. Malaysia's 11ST is scheduled to launch in April 2015. 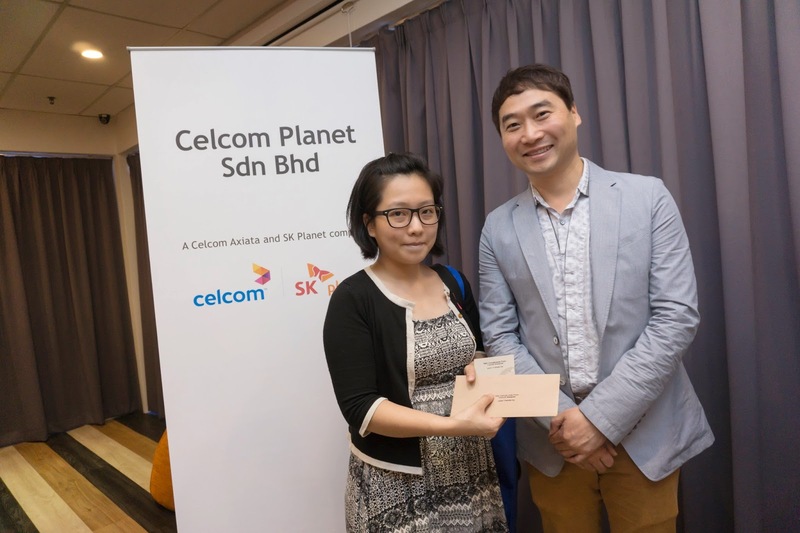 It is managed by Celcom Planet, a joint-venture between Malaysia's Telco giant Celcom and SK Planet which hosts 11ST in Korea. 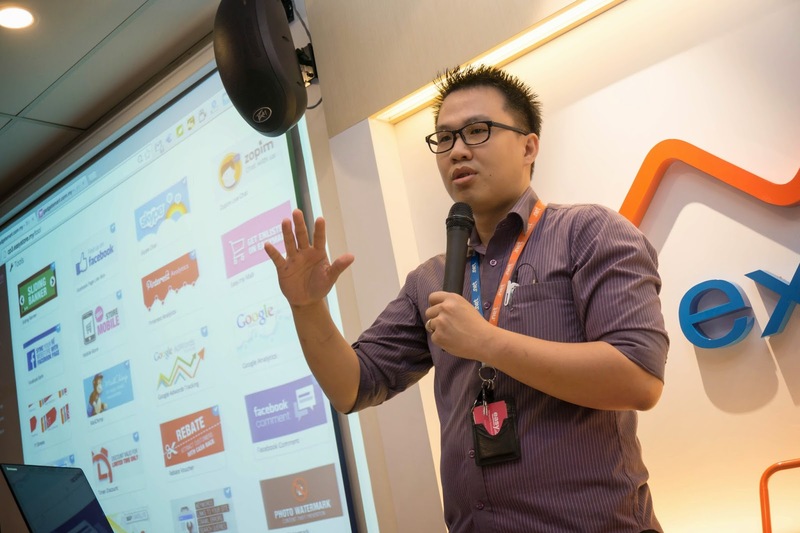 Mr Sean shared with us the exciting prospects of how 11ST would benefit our EasyStore merchants and is inline with EasyStore's practise of bringing our client's businesses to the next level. 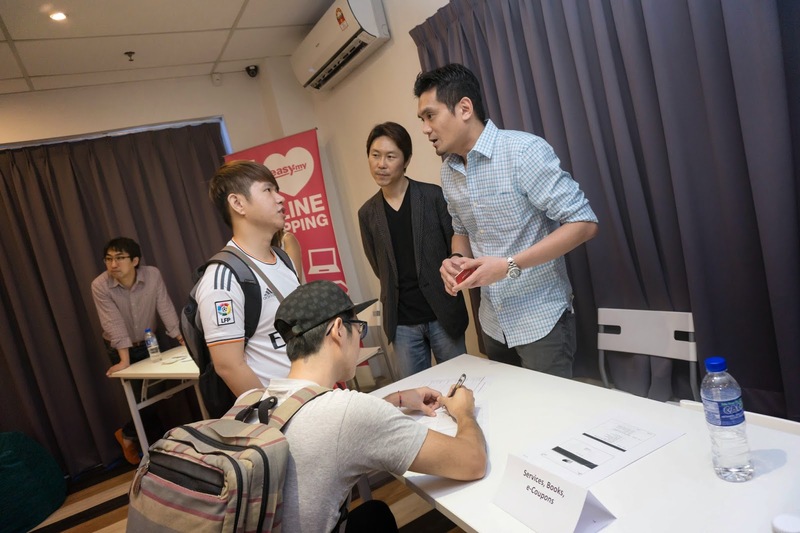 He also gave an insight on their strategies to bring traffic into the marketplace which would generate more exposure to our merchants who signed up. 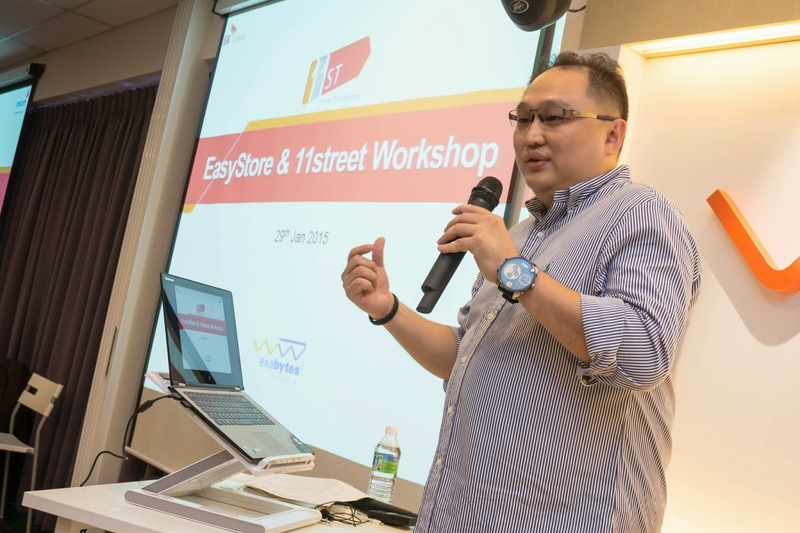 After Mr Sean finished explaining to the crowd what they needed to know about 11ST, the MC then invited Mr Alan Kok, the VP of EasyStore for a short presentation on how by using the tools (soon to be available) on EasyStore to synch the products with 11ST. Very simple and very fast.. everything tekan butang sahaja (everything is just a click of a button). :P Our EasyStore merchants saw the prospects of 11ST and majority signed up on the spot. 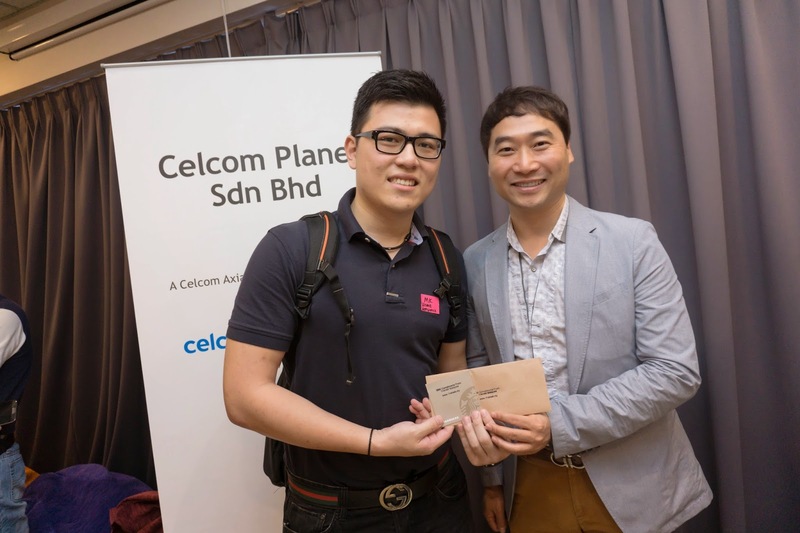 EasyStore and Celcom Planet has collaborated, hence any merchant that has an EasyStore account can automatically synch their product listings into 11ST thus getting more eyeballs and enjoy a bigger marketplace. We closed all the presentations with a breakout session, where all the participants went to visit different booths according to their business's industry - Fashion, Services, Gadgets, Beauty, Babies, etc, for further consultations and enquiries. How to start your E-Commerce in Malaysia?